While proper charging is paramount to a healthy battery life, the subsequent discharge is critical in keeping your battery healthy for the long term. Do not leave your phone charging continuously once it has reached maximum capacity. Though most modern chargers will automatically cut the current when the battery is full, it will reactivate the current once your battery dips below a certain threshold -- usually 98 percent. This means your battery will be continuously charging and discharging only within 98 and 100 percent range. To keep your battery healthy, you need to allow it to charge fully and subsequently discharge to "work out" the entire spectrum of capacity. Allow your phone to discharge through normal use on a regular basis, but set a capacity "floor" to decide when to start charging again. 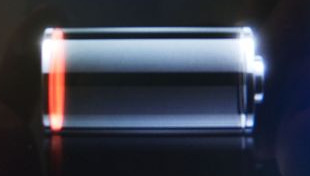 Letting your phone reach a critically low capacity (under 10 percent) on a regular basis can be catastrophic for a battery's capacity potential. Let your phone discharge to 20 to 30 percent capacity before charging, then use smart charging techniques to recharge your battery. You've probably heard of the "full discharge" theory, which states that you must regularly let your battery completely die to preserve its capacity. While there is no evidence this technique will harm your battery, there is no concrete evidence that it will benefit your battery either. If you are regularly dipping below 10 percent it is a good idea to simply let the battery die as opposed to charging from there, but don't worry about making an effort to execute a full discharge. Modern cell phones have more capabilities than even the most cutting-edge technology of a few decades ago. There's nothing wrong with embracing these features and getting the most out of your phone, whether it's staying connected or passing time with a game. However, don't go overboard. Games devour battery charge, making smart charging and discharging practices nearly impossible. If you find yourself playing over an hour of mobile games a day, it is probably worthwhile to invest in a handheld gaming system. Cell phones which are used for over an hour of gaming a day are more susceptible to battery damage. Turn off Bluetooth and Wi-Fi when not in use. If you know there is a network in your current location, turn on your Wi-Fi adapter and connect. If not, don't leave your adapter constantly searching for open networks. Avoid using your phone during charging. Many people avoid draining their battery by gaming with their phone plugged in; this is the cardinal sin of battery maintenance. Charging during use puts your battery in a sort of limbo, a high stress situation in which it is constantly losing and gaining charge. Not only does this state of limbo harm your battery's potential, it causes your battery to heat up rapidly. Gaming and charging are the two activities that will heat your battery up the most, and combining the two can be catastrophic. Heating of the battery is not only damaging to its capacity potential, it can lead to death of the battery or even a battery rupture, which almost certainly will kill your phone entirely. Your phone's battery is a complex tool that is susceptible to damage just like any other piece of technology. Allow your phone to charge completely, but be sure to unplug it and subject it to normal use once it reaches 100 percent. Discharge your phone normally, but set a limit at which you recharge it, usually 20 to 30 percent. Avoid reaching critically low capacity, and if you do, let the battery die. Avoid using your phone (especially for gaming) while it's charging. By following these steps you can ensure that your battery will be capable of holding a charge all day for years to come.